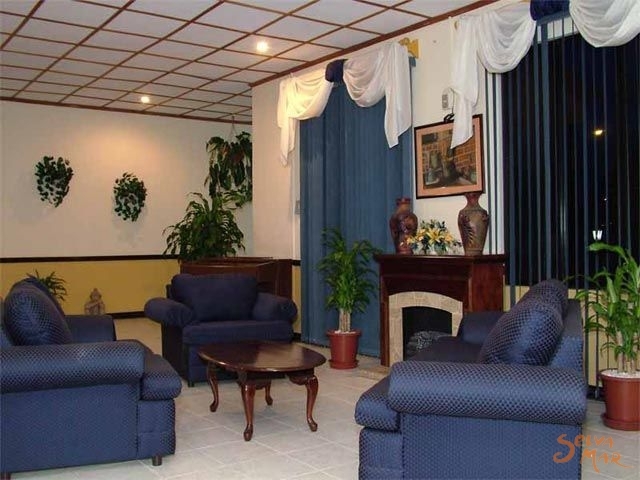 Most people enjoy their stay at value-priced Adventure Inn Hotel, a clean, modern San Jose Costa Rica hotel conveniently located six minutes from the San Jose Juan Santamaria International Airport (SJO), and ten minutes from the domestic Pavas (Tobias Bolanos) Airport. 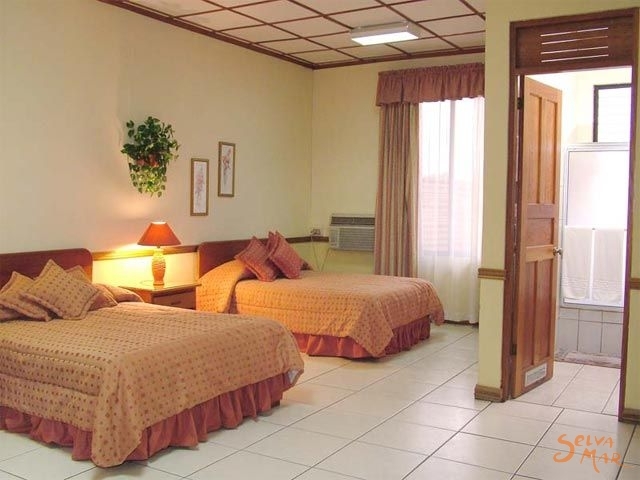 In the prestigious, up-scale neighborhood of Ciudad Cariari on the outskirts of San Jose in the central valley of Costa Rica, we are a full-service Costa Rica hotel on the bed and breakfast (B&B) plan. 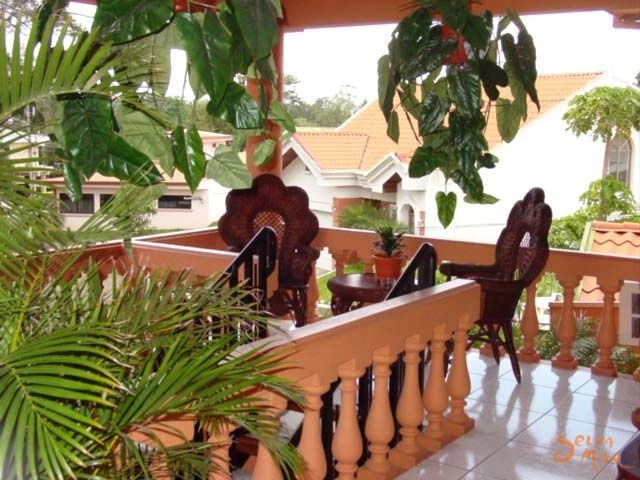 From Adventure Inn Hotel, catch glimpses of the distant Irish-green patchwork mountains to our north and south as you go for a peaceful walk through the lush parks, around the entertaining duck ponds and along the golf course past many elegant homes. Check out the nearby posh five star hotels with casinos and convention venues or take a short hike to the large new Cariari Mall and Cineplex Theatre. Everyday but Monday enjoy free admission to Waterland, an exciting private water-theme park great for the whole family. Bustling San Jose, with its Central Market, pedestrian shopping area, museums, zoo, business district, and exciting nightlife zone is about ten minutes away by car, taxi or convenient public bus. 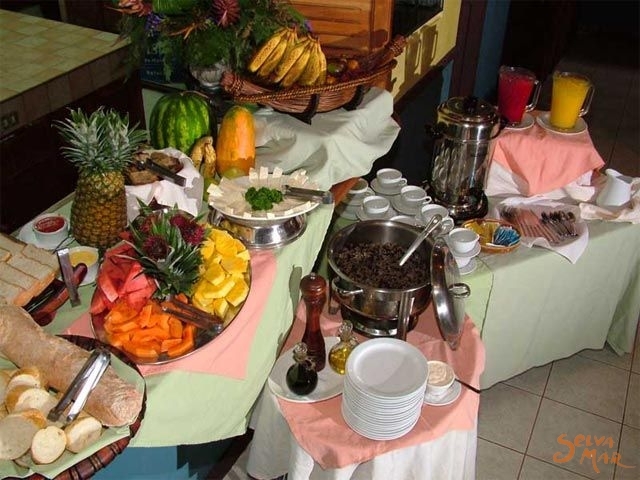 Breakfast is served from 6 - 10 am and included in your low rate. For over half a millennium, people of various cultural backgrounds; the Mayan and Aztec cultures to the north, the Mesoamerican and Inca cultures to the south, their Mediterranean conquerors, and even the slaves from Africa and the Caribbean, have all lived together in Costa Rica. This fabulous fusion of cultures has encouraged the sharing of wonderful recipes, spices, flavors and food types incorporated into every generous plate served at the Moon Glow. After your dining experience, the Moon Glow Bar and Grill invites you to share stories about your Costa Rican adventure with new friends and old over a cool tropical cocktail at our full-service bar. Stop by and enjoy! 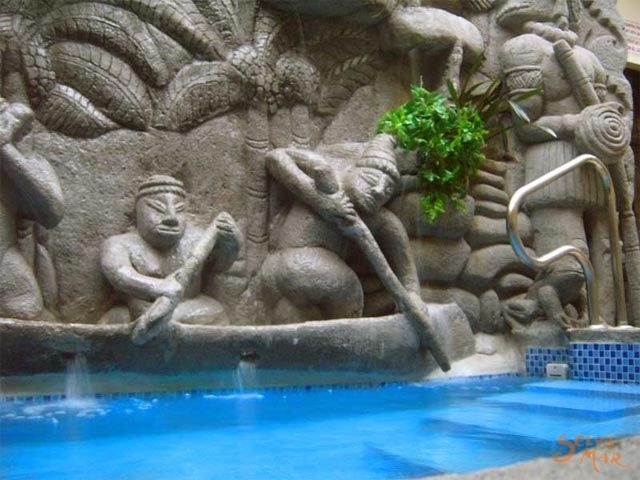 After a day exploring smoldering volcanos, steamy rainforest canopies, thundering waterfalls or the action of nearby San Jose, you and the kids can relax and unwind in our Mayan waterfall Jacuzzi, created by the talents of local Indian artisans. 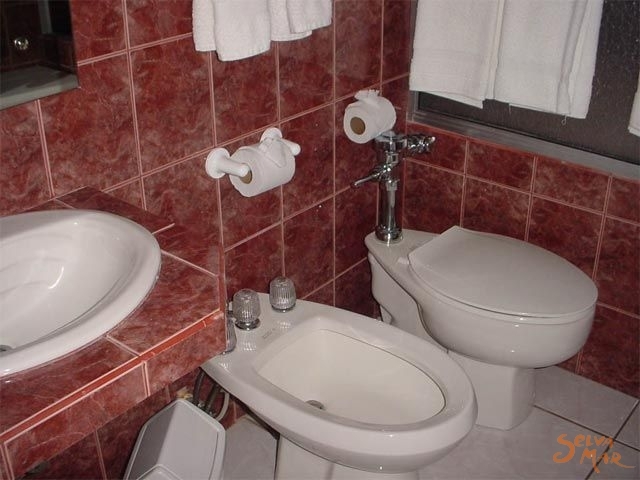 Your laptop has free internet throughout the hotel. Connect in the comfort of your own room. With our multiple firewalls and 128-bit wireless data encryption, you can connect safely and securely. Or better, leave your laptop at home... there's no waiting at our complimentary 24 hour guest internet cafe with four flat-monitor computers. 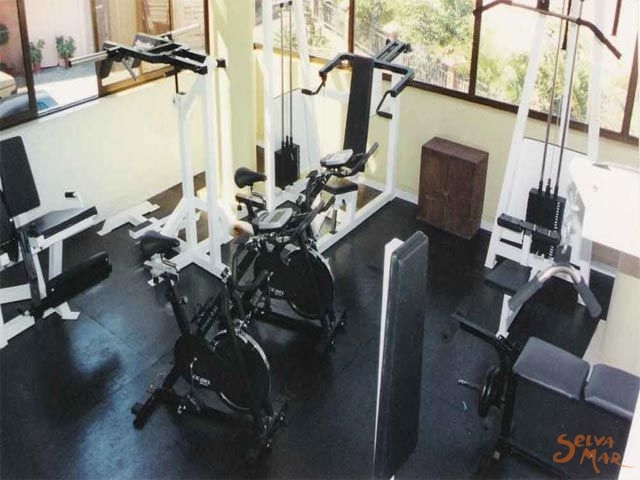 Jump start the new you, or don't miss a workout in our complimentary fully-equipped 24 hour gym. 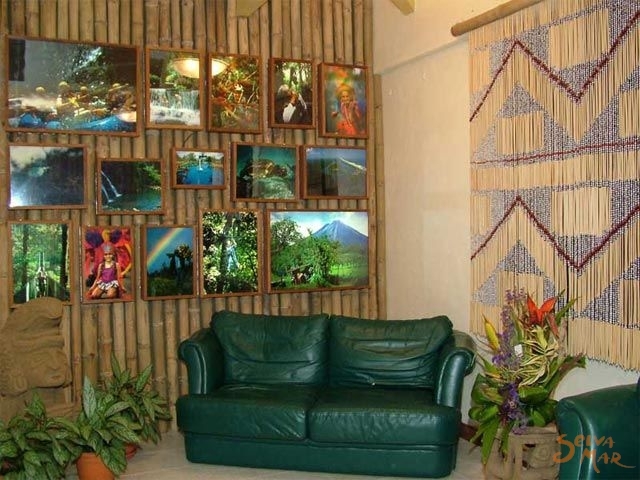 From Adventure Inn, travel in all directions on the best Costa Rica tours. Experience dense humid rainforests. 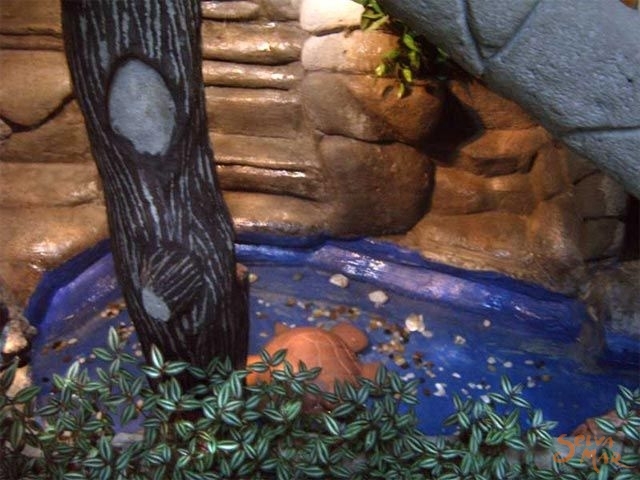 Relax in dozens of natural hot pools in a tropical garden setting under a thundering volcano. See pirate history on a sun-drenched Pacific cruise to an exotic white sand and palm-fringed island. Or embrace an adrenaline rush with world-class whitewater rafting on the warm Pacuare and Reventazon Rivers, or canopy zip-lines from peak to mountain peak. Our team of bilingual front desk receptionists have developed many contacts through years of experience in arranging the most value-priced Costa Rican tours for our guests. On days when you want to just relax in our perfect year-round spring-like climate and stay around Adventure Inn, round out your Costa Rica travel adventure the whole family will be entertained at WaterLand, a private water-theme park free to our guests with pools, slides, go-carts, mini-golf, racket sports, ponies and a fast-food restaurant. WaterLand is about 2 km from Adventure Inn. We will shuttle you both ways, or you may simply enjoy the pleasant walk back through the quiet elegant Cariari neighborhood. 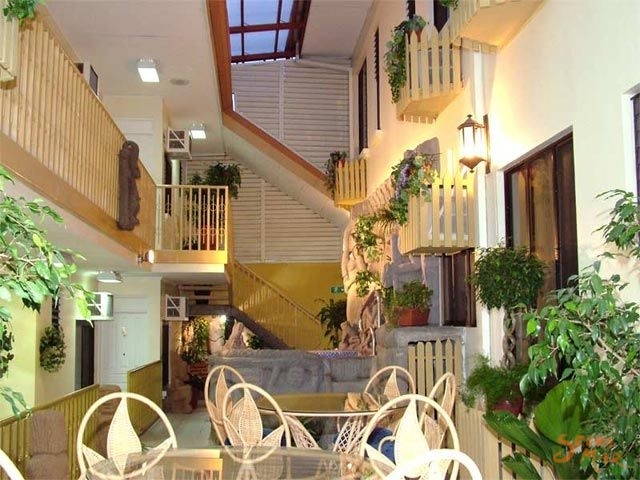 The Adventure Inn is open 24 hours per day, and is about 10 minutes from the international airport. Most taxi drivers are familiar with us and the orange colored taxis you see when you exit the main airport terminal at all hours of the day are your best bet. If you keep your receipt when you pay for the taxi, we will credit your account $10, so it costs you nothing to arrive safely and quickly to our door. Coming from the airport into San Jose after about 7 km exit right under the second overhead bridge (Francisco J. Orlich Bridge) and go straight ahead for 1.5 kilometers. 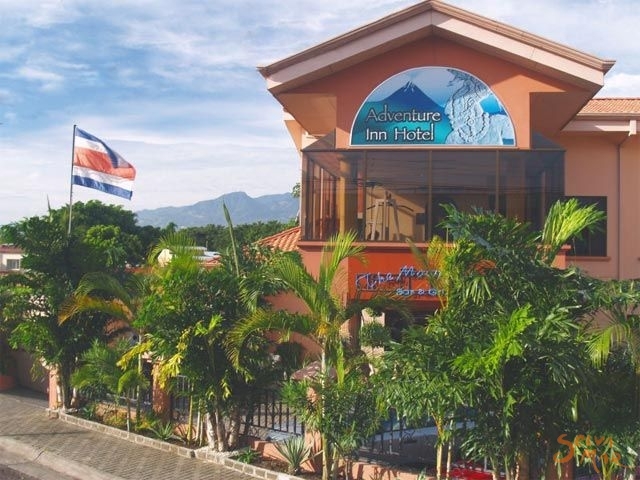 You will see the Los Arcos gate to your right, and the Adventure Inn is one block to the left of the gate.The Adventure Inn is open 24 hours per day, and is about 10 minutes from the international airport. Most taxi drivers are familiar with us and the orange colored taxis you see when you exit the main airport terminal at all hours of the day are your best bet. If you keep your receipt when you pay for the taxi, we will credit your account $10, so it costs you nothing to arrive safely and quickly to our door. Coming from the airport into San Jose after about 7 km exit right under the second overhead bridge (Francisco J. Orlich Bridge) and go straight ahead for 1.5 kilometers. 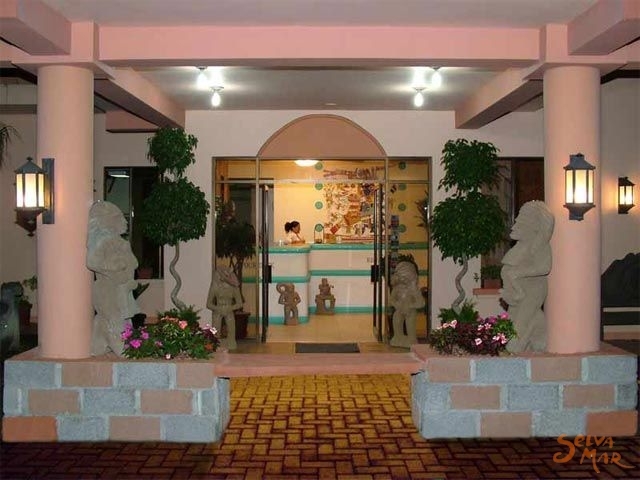 You will see the Los Arcos gate to your right, and the Adventure Inn is one block to the left of the gate.